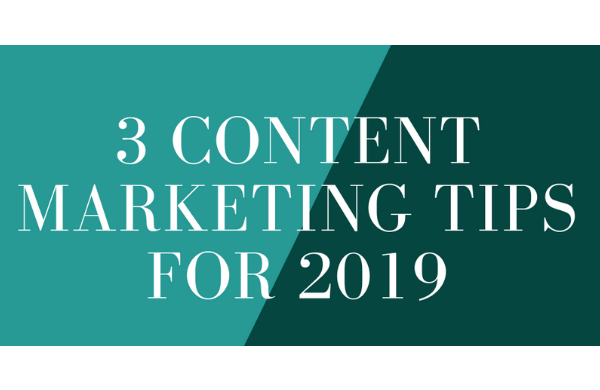 Content will be key to your success in 2019. Creating excellent, valuable, authentic content that connects and resonates deeply with your audience must be paramount. Getting your audience engaged and on board is your mission. If you are in the throes of planning, keep these three important tips in mind while you work on how to improve your social media marketing and your results this year. Why is this important? Isn’t it enough to discuss goals and have an unwritten strategy? Not according to the 65 percent of brands who say that their success with content marketing is a direct result of a documented strategy. 2019 will be about the quality of content, not the quantity. To rise above the flood of content being published every day you need to produce remarkable content that provides value and commands attention. Rand Fishkin, who coined the term 10X content, says content needs to have at least three or four of the traits he identified to be remarkable. Use his list as a yardstick when creating content. ✓ Provides a uniquely positive user experience through the user interface, visuals, layout, fonts, patterns, etc. These two trends will lead to the need for a new content creation model. Text alone is not enough. There is a mountain of evidence that visual content gets higher engagement and retention rates. It’s impossible to make a remarkable piece of content without really good visuals. You can train your current team or skip the learning curve and hire a team of freelancers who already know how to create excellent content.